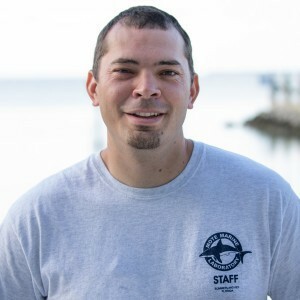 Christopher Page is a staff biologist overseeing the land based culture of slow growing stony corals for use in coral reef restoration projects. His goal is to produce coral seed fragments in high health and number to be utilized for restoration and transplant to field sites. Currently his research focuses on development of a large scale approach to restore coral cover to damaged reefs. Christopher also works with the larvae of the Longspine Urchin, a keystone grazer on Florida reefs that has suffered drastic mortality in Caribbean waters.